3D Systems' new printing technique is new, fast, and can handle millions of part orders. 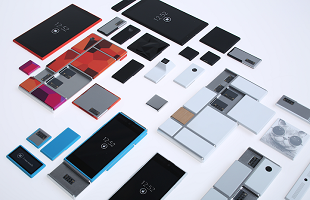 Google wants to drastically change the smartphone hardware landscape with its Project Ara ecosystem. Imagine a smartphone that can be broken down into detachable component chunks, allowing users to upgrade a camera without ditching the rest of your perfectly capable phone. A new vision for smartphone hardware means new methods of manufacturing, and 3D Systems is seemingly up to the task. 3D Systems (via SlashGear) has detailed its new 3D printing process, which uses consistent, unchanging printing speed. From the blog post: "For more productive print rates (of millions and hopefully billions of units), we're creating a continuous motion system around a racetrack architecture that will allow the module shells to move in a continuous flow with additional "off ramps" for various finishing steps, including inserts and other module manipulations." In other words: current 3D printing practices lack consistent speed, which causes longer printing time. The new process and its consistent printing speed will, in theory, be more efficient. Along with changing 3D printing methodology, 3D Systems is developing conductive ink, which will be used in certain components (like antennas). The ink is being developed with Carnegie Mellon University, and X5 Systems. Modular phones for consumers are a ways off, with prototypes shipping in late 2014.